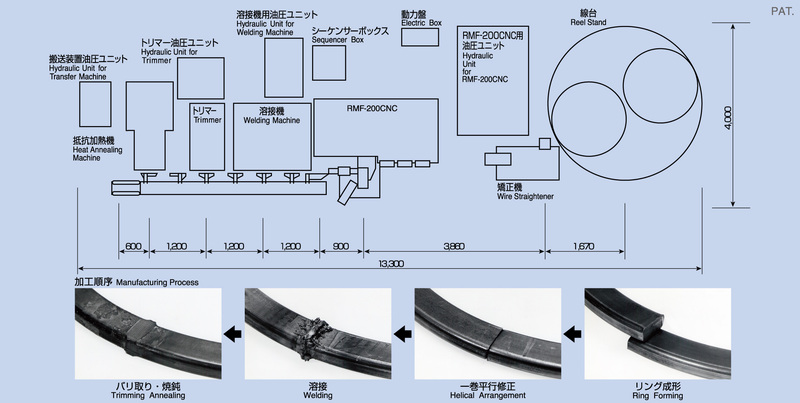 The purpose of this linear equipment is to make big size flat ring. This big size flat ring is made from square wire. And welding & de-burring & annealing process will be done after coiling by using the automatic transfering equipment.